XEFU “La Voz Amiga” was heard in Lemmenjoki on 630 in October 2010 during LEM294 fading up with a nice jingle over a bunch of NA’s including CFCO for some minutes. After several attempts, I finally got a confirmation from the station manager Roberto C. Lima Rizado. Gracias Roberto! Several years ago I heard XEJB in Guadalajara on this channel at a time when Norway’s superpower was still alive on the channel! KCTA was first logged here in Finland by LEM115 in late December 1997 by Jim Solatie. The station has been heard since every now and then but is by no means an easy catch do to the fact that it is limited in its broadcasting hours. It must protect the Class A station on the frequency, WBZ Boston, from interference. 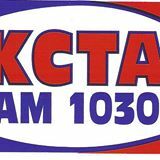 KCTA is only allowed to broadcast during local daytime daytime hours. Not only WBZ makes the frequency tricky, so does KTWO Casper WY. I managed to catch KCTA with Christian programming in Spanish in Lemmenjoki on October 20, 2010. Despite many tries I have not until now managed to receive a confirmation until a couple of days ago when my mp3 audio bwas verified with a Facebook message. WCXN Claremont C 1170 was probably first logged in Finland by the crew of LEM299 Hannu Asikainen (HAS) and Hannu Niilekselä (HN)n on Decembet 12, 2010. The station carries the slogan “La Radio Que Sueña” and, according to NRC’s AM Radio Log 2013 also “Poder 1170 AM”. WCXN has been heard with it’s Mexican music format by rather many listeners in Scandinavia during the last two years. The station is owned by Birach Broadcasting Corporation which is totally owned by its president Sima Birach. Mr. Birach also kindly verified my reception of WCXN in Lemmenjoki on February 3, 2011. Sima, your confirmation was highly appreciated! KUFO Portland OR on 970 is a pretty commonly heard US West Coast station in the northern parts of Scandinavia. Previously KUPL and later KCMD was re-assigned the KUFO call letters in March 2011. When I heard it in October 2012 it was heavily disturbed by KBUL Billings MT. Milt McConnel promptly verified my mp3. Thanks Milt! 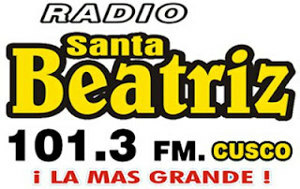 I heard Radio Santa Beatriz on 1350 AM (actually on a clear split below 1350) in early February 2012 in Lemmenjoki during LEM317. At that time the signal was rather weak, however both the AM and FM frequency was clearly announced. Later I also have managed to hear the station in my home QTH in Borgå. The station is part of Radiodifusora El Sur to which also e.g. Radio Las Vegas also in Cusco belongs. After several tries I finally got a confirmation on my reception from José Raul Tapia Acurio. Gracias José! KPRO Riverside CA was first logged in Finland in 2008 by the ENOX10 pedition in Enontekiö, Lapland by Hannu Niilekselä (HN) and Tuomo Ahonen (TUA). Since then the station has been logged here a couple of times- My own log stems from late October 2012 during LEM319 together with HN. A nice ID was heard: “We are coming your way on AM 1570. A very pleasant good evening to you from KPRO Riverside, Inspirational Radio”. Valorie Stitely, GM kindly confirmed my reception. Thanks Valorie!